Plans are afoot to abolish a reserve for vulnerable indigenous peoples in Peru’s Amazon in order to exploit massive gas deposits and facilitate Christian evangelization, according to a report by Lima-based NGO Perú Equidad – Centerfor Public Policies and Human Rights. The report, La Batalla por “los Nanti,” argues that Peruvian state institutions, gas company Pluspetrol, and the Dominican mission have adopted a series of behind-the-scene tactics intended ultimately to “dissolve” or “extinguish” the reserve. Although almost 25 percent of the KNNOR has been included within a gas concession run by Pluspetrol for over 10 years, Perú Equidad believes the reserve now stands to be abolished altogether in order to facilitate operations in the concession as well as open up new areas outside of it. Pluspetrol’s concession, called “Lot 88”, includes the San Martín and Cashiriari gas fields to the north and south of the River Camisea. The Camisea gas project, as operations are known, is Peru’s largest ever energy development scheme. According to Perú Equidad, this strategy revolves around a small group of indigenous people who since the 1990s have been known as “Nantis” by many outsiders, but since 2011 have sometimes said publicly they are “Matsigenkas,” who number in the thousands. Many “Matsigenka-Nantis”, as Perú Equidad calls them, live in “initial contact” inside the KNNOR, to the east of “Lot 88,” in a region of crucial interest to Pluspetrol and possible future gas production. “’The Battle’ refers to the strategies to assimilate [the “Matsigenka-Nantis”] … [and] extinguish the KNNOR, bearing in mind they live in the region closest to a deposit of huge interest to the gas industry which is expanding Peru’s biggest hydrocarbons project,” the report states. One of the key elements of the strategy identified by Perú Equidad is giving the “Matsigenka-Nantis” national identity documents (DNIs) – an initiative they argue has been vigorously promoted by the Dominican mission based in a Matsigenka community called Kirigueti. “The identity documents are above all a useful tool to prove they’re no longer people who reject or limit their relations with the state: a cardinal message from the perspective of dissolving the reserve,” the report states. “It’s easy to see that the logic being promoted is that having left behind being in isolation and initial contact the risks from accidental contact that made the reserve necessary no longer apply,” it continues. Another key element in the strategy identified by Perú Equidad is proposals to create titled communities for the “Matsigenka-Nantis” – an initiative they suggest has been promoted by the mission, Pluspetrol and state institutions. While acknowledging the “Matsigenka-Nantis” have the right to title, the report argues they may not understand the implications and cites a Culture Ministry assertion that they can fully enjoy their rights even if they continue living in the reserve. According to Perú Equidad, turning the KNNOR into titled communities could reduce the size of the “Matsigenka-Nantis’” territories, and make it easier for gas companies, logging firms operating legally, illegal loggers, and even members of neighboring communities to enter. Other elements in the strategy identified by Perú Equidad include weakening the legislation protecting the reserve, claiming its inhabitants are “poor” or live in “extreme poverty” in order to justify their integration and “recruiting” indigenous organizations to provide support. Indeed, the report argues that the recent, publicly-declared affirmations that they are “Matsigenkas,” rather than “Nantis”, can be explained by the strategy to abolish the reserve and is directly linked to the DNIs. “This has led them to the erroneous conclusion that the Catholic missions – specifically the mission at Kirigueti – are hatching a plan to make the Kugapakori Nahua Reserve disappear,” Martinez told Upside Down World. Regarding the DNIs, Martinez says the state requested the mission’s help in liaising with the Matsigenkas, that it is the latter’s right to have identity documents, that they wanted them, and that having them doesn’t mean the end of the reserve. As for land title, Martinez denies he has promoted it, but argues that the Matsigenkas can’t control their territory while it remains a reserve, saying that they weren’t consulted about gas operations and that other Matsigenkas entering to fell timber can’t be stopped. The KNNOR was the first of five reserves currently established specifically for indigenous peoples living in “isolation” in Peru, which in total cover more than 2.5 million hectares. Another five reserves have been proposed and would total almost 4 million hectares if created. 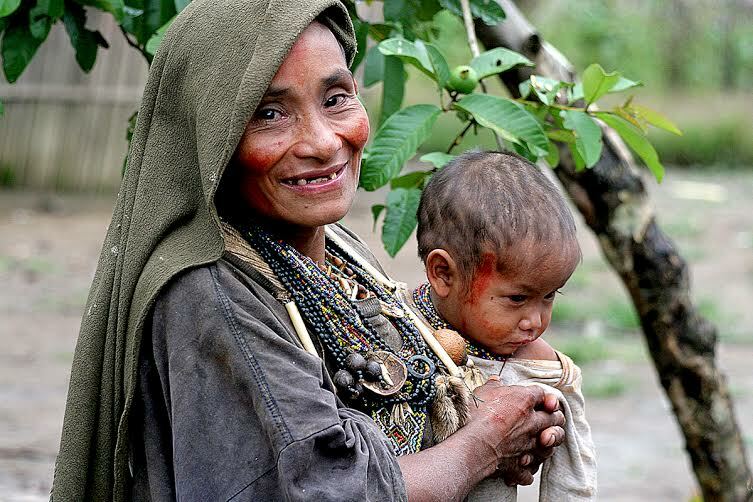 Indigenous peoples in “isolation” and “initial contact” are extremely vulnerable to contact with “outsiders” because of their lack of immunological defenses, meaning that diseases and fatal epidemics can spread among them very easily. Pluspetrol was given the green light by Peru’s government earlier this year to expand operations in “Lot 88” following a controversial approval process and a call from the United Nations’ Committee on the Elimination of Racial Discrimination, among others, to suspend the expansion. Peru’s Vice-Minister for Inter-Culturality, Patricia Balbuena Palacios, as well as Pluspetrol, could not be reached for comment.